The year ahead promises to be incredibly exciting for delivering high quality cycling and walking infrastructure in Scotland. Sustrans recognises the importance of bringing partners together from across the country to share learning and best practice which is why, four years ago, we started our Raising The Standards Day. Packed with interactive workshops, presentations and cycle study tours, the day encourages partners and stakeholders who we work with through our Community Links grant funding, to think about how we can recalibrate our streets in favour of people. 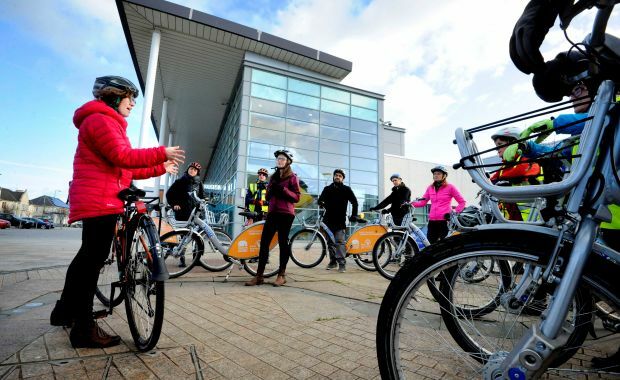 In light of the Scottish Government’s recent commitment to double the budget for active travel, we have never had a better opportunity to raise the standards and ambition across Community Links and Community Links PLUS programmes. This increase in funding is an opportunity to demonstrate what we can do for our communities when we design places and spaces that work for people, and not just vehicles. There will be a lot of eyes on our sector over the next three years, and we want to give them something positive to talk about. Working with our partners, it is essential that we deliver well planned projects that link communities to infrastructure through exemplary community engagement, and bring together strategic partnerships across sectors, organisations and departments, to maximise our reach and impact. The projects that we have already delivered in partnership through our infrastructure programmes, have and are influencing key decision makers across Scotland. This was brought home to me when chairing the 2017 Community Links PLUS panel. Roy Brannen, Chief Executive of Transport Scotland, said he was blown away by the wealth of information, the quality, and the amount of hard work that had gone into the five proposals. As time will demonstrate all five proposals are obviously worth funding, but I’m also sure they had a large part to play in influencing the government to double the budget for active travel. Sustrans’ work is not only making a difference at these political levels of influence. Crucially we’re also making a difference to peoples’ lives. For example you only need to look at the River Lossie Cycle Path in Moray, which is bringing out the locals’ inner child and breathing life into a long forgotten mode of active travel, the rollerskates. Or the resident of Milngavie who bought a bike after construction of the Bear’s Way. Or the Doctor in Dalbeattie who started prescribing walking and cycling after we built a shared use path. Our work enables healthier lifestyles and we must continue to do so, ensuring that we’re reaching the communities that need it the most. Our recent ‘Transport Poverty in Scotland’ report highlighted that more than one million people in this country are at risk of transport poverty – where a lack of affordable and accessible transport is a barrier to accessing essential services and work. We can’t take our eye off the ball, and we must focus on delivering high quality projects that will lead to an ‘active nation’. And, working together with partners and the Scottish Government, we will continue to deliver ambitious, high quality projects that will help enable more people to walk and cycle for more of the journeys they make every day.